Enjoy Dauphin Island's legendary sunsets from your own private balcony on the second floor of The Inn at Dauphin Island Condominiums! 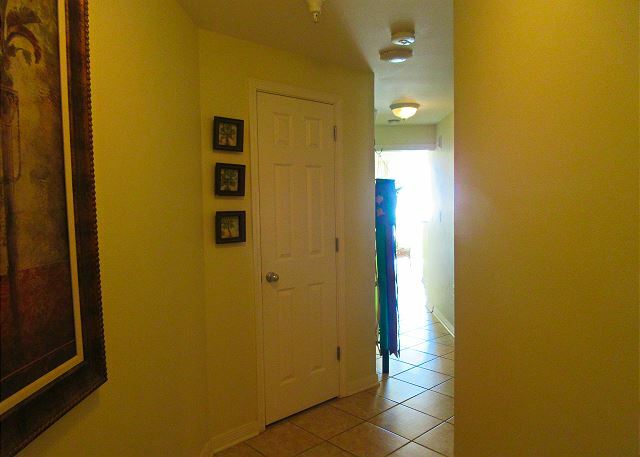 This cozy 2nd floor 1 bedroom, 1 1/2 bath unit sleeps 4. 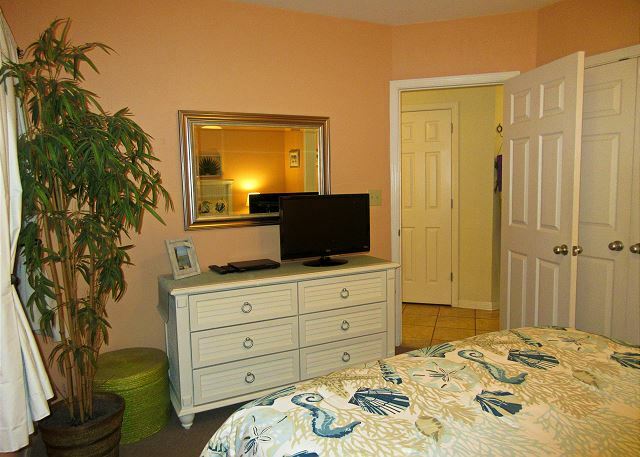 Rooms Sleeps 4, This beautiful 1BR, 1 and One-Half Bath is just the place for a relaxing weekend or week on the Gulf! Real enjoyed staying at The Inn. Prices were very reasonable. Our condo was very clean and kitchen was stocked with plenty of cookware,utensils. Great Views. And enjoyed the extended season pool, in march, when water is still cool, this pool was comfortable. We plan on coming back real soon. Highly recommend. Very nice room. Had a good experience with the web site and everything thing that went with it. The bad was u called the number on the web site to check the condition of the island since hurricane Micheal just hit and no one could tell me. EXCELLENT! WE HAVE 2 ROOMS FOR JUNE, 2019 ALREADY! A very nice condo- easy stay! nice unit that was very clean. Beautiful views. Master bedroom mattress was a little worn and soft for my taste, but overall a very relaxing and enjoyable stay. We really enjoyed the island and the room had a beautiful view. It was mostly quiet with other families staying throughout the Inn. We never met anyone that worked there. We arrived after they had left for the evening and no one ever said hello or came out of the office during our entire visit. It was different. Not really a complaint, just noticed it was managed differently than any other place we had visited. Our only issue was the bed. The mattress was worn out and we were both struggling from lack of sleep and back pain by the end of the trip. It honestly had the feeling of an overly used hospital bed. Understandably, no bed has the same comfort of your bed at home but a new mattress and frame is needed in this room. Our son enjoyed the bunk beds. We were impressed with the cleanliness and safety of the Inn. We really enjoyed the beach and the island was a great place for families. Wonderful condo, beautiful beaches, best fireworks show ever (July 4th)! Will be back, definitely! Nice condos with varying amenities in each unit. We stayed last year in a much better stocked unit and were unprepared this year to not have measuring cups or decent knives. The location is within walking distance of several restaurants. The beach is nice and not overly crowded. The water is less blue/clear than further down the coast line. The walk to the beach is extensive. About half of the walk is on a boardwalk which is nice. The other half is in sand which is a bit more difficult. Increasing the length of the boardwalk would improve the experience of getting to the beach immensely. Pools were clean and well maintained. The best part is that it’s quiet and not overly crowded like further down the coastline. We enjoyed our stay at The Inn and would definately stay there again. We loved our time at The Inn on Dauphin Island. A little bit of a walk to the beach but a good way to exercise. A very nice,quiet and peaceful place to visit. This condo while small is great. Would be ideal for a family of four. It is very well stocked with towels, utensils, glassware and even has a small array of spices in the cabinet in case you forget them. The view from the balcony can’t be beat, it overlooks one of the pools and has a clear view of beach. Wonderful vacation, facility and location! Condo 208 at The Inn on Dauphin Island was a pleasure. The space is small but well laid out and extremely nice and clean. This is a condo we would definitely rent again without hesitation. We enjoyed our stay at the Inn on Dauphin Island! There's a very, very good chance that we will stay here again for the 85th ADSFR. The room was clean, cozy and had everything you need for a nice long weekend or longer at the beach. First time visiting Dauphin Island. Loved everything about it! We stayed at The Inn #208. Our unit felt like home away from home. Loved the small, quiet, family atmosphere. Have already recommended The Inn to family and friends. We look forward to visiting again very soon. The best most relaxing vacation ever! My wife and I had the most enjoyable week at The Inn. It was a clean and comfortable place. We will return. We love staying at The Inn because it's easy to book, clean, and has an awesome location. The pools are always clean and well maintained as well. This particular trip was awesome in terms of marine life. We saw tons of dolphins, some only about 20 yards from shore, lots of hermit crabs, sand dollars, and sand crabs. We enjoyed the laid back feel of Dauphin Island and enjoy doing nothing but playing on the beach during our stay. The beach is not busy at all and the best for families. We always have dinner at The Islander because their food and service is unbeatable. Yep, it's a beach condo! 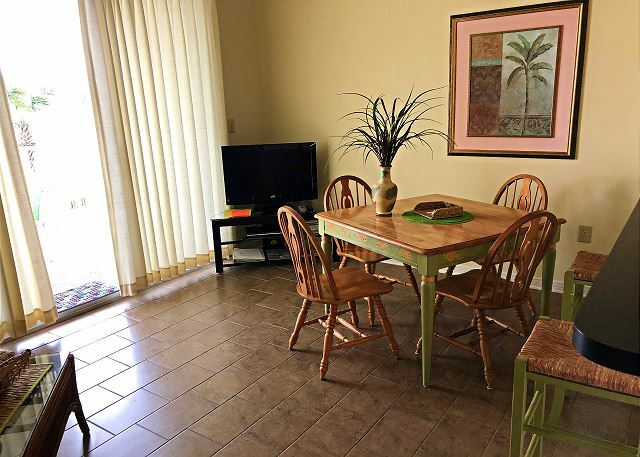 This was a fine beach condo with great beach access and well maintained pools. This location was nice and quiet with no rowdy groups. The unit was in good condition except one of the bunk beds had so much sand in it on our arrival that my daughter had to sleep on top of the covers until we washed the sheets ourselves. Also the bunk bed ladder was hidden in a closet when we got there. We had to get our own trash bags and toilet paper (two rolls were supplied). I feel like they should supply those things as well as dishwashing liquid; you're relying on the previous renters to have actually washed the dishes with soap that's not provided. Two packs of dishwasher detergent were provided, though. Our dishwasher wouldn't start, but maintenance promptly reset it. Overall a good property, just bring your own housekeeping supplies or go buy at the Ship & Shore for c-store prices. We had a nice time on the island. 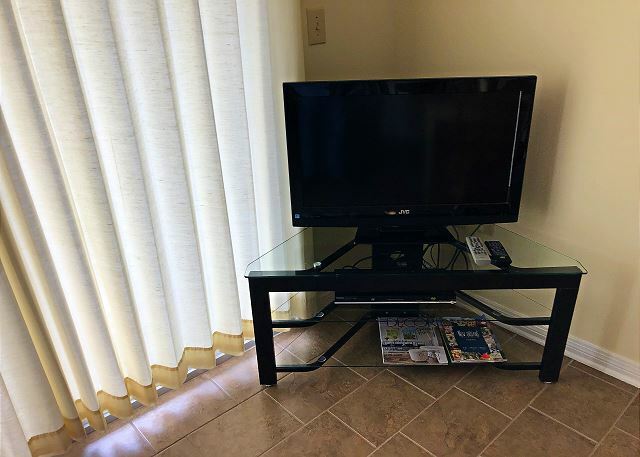 The unit was clean, and as described on the website. This was a great rental for family of 4 with young children. The condo size was perfect, pools great and access to beach easy. One of the pools are heated. Very laid back atmosphere with quite a few families on vacation. A nice condo with easy access to the beach. Located within walking distance of unique restaurants and shops.We came just before the Memorial Weekend rush, so it was nice and quiet. 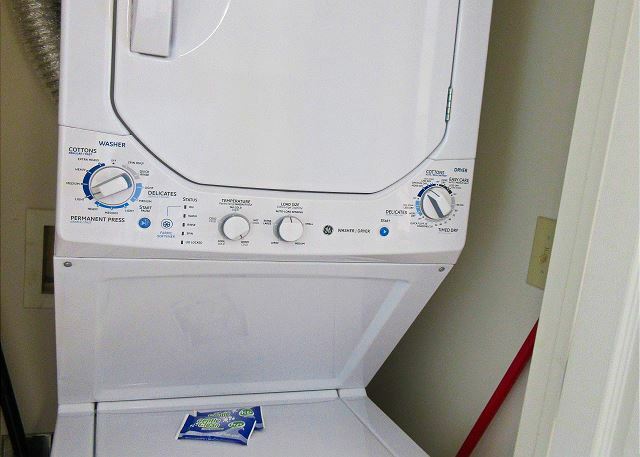 Condo was well stocked with kitchen needs, plenty of towels, washer/dryer, etc. The living room furniture could have been comfier and a pull out sofa would have been nice, but overall a nice condo for the amount of time we spent inside. Our biggest issue was the pillows - they were super flat! It was great having the pools as an option as well on windy days. We enjoyed our visit to Dauphin Island immensely! The condo, The Inn Unit 208 was everything we wanted. The view of the Gulf was spectacular; the unit was spacious and furnished beautifully; and the much needed rest was exactly what we needed! We hope to visit again and again! Thank you for such a well maintained; beautiful vacation spot! 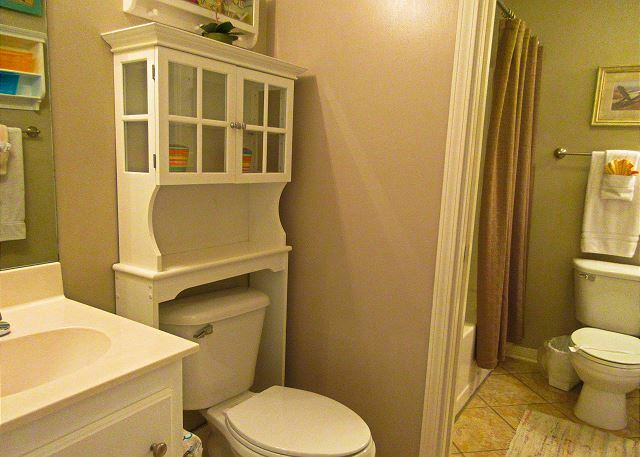 A perfect space for a family of 3...and budget friendly! Clean unit. We would definitely go back. Drawbacks/suggestions for future: 1) we were stressed by the fridge instructions saying to wait 24 hours for it to be up to temp. We bring groceries for the week with us ?? Not cool! 2) this is our first time at this unit (2 previous times at the same location just different unit) and comparatively, we felt this unit was very stingy with the things provided such as TOILET PAPER, hand soap; dish soap, laundry soap, dishwashing soap. Yes, it was stated we would need these things so it's just an observation bc the other unit was quite stocked. It was a perfect location for us! Private beach access, plenty of pots and pans. The beach here is just wonderful and just our style!! We stayed three nights and being able to see the beach each morning for breakfast was great!! Bring a few extra rolls of toilet paper if you have a big group! We have stayed at The Inn at Dauphin Island for two years in a row while our daughter is at Barrier Island Reef Camp. The condo's are reasonably priced, clean, easy to get to, beach & pool access are very good. We had a wonderful stay ! The condo was beautiful. Everything we could possibly need was right inside. The views were amazing. The pools were always clean, the walk to the beach so nice. This was our second year to stay here and we will be back ! It is our new home away from home !! Our rental was exactly as described. Also, very clean and comfortable. The right size for 2 adults. Elevator was a necessity for our stay. We enjoyed view and being on the island for a few nights. Wonderful week. Only too hot for older people. Beach was a little to far to walk to. Other than that we had a wonderful time. Unit 208 was very clean and well decorated and very comfortable. It was very efficient, clean, attractive, and had all the amenities of my own home. We had a wonderful two weeks in Dauphin Island! This was our second time staying at The Inn at Dauphin Island and we love it! Our accommodations were clean and comfortable except for the bed, it was too hard and not very comfortable. But other than that everything we needed was provided. The condo was beautifully furnished and we felt right at home. My husband fished from the beach in front of the condo and caught a 46' King Mackerel! He was in heaven! We will definitely return to Dauphin Island and will definitely stay at The Inn at Dauphin Island! We had a wonderful time. The facilty was all it promised and more...quiet...comfortable. I t was a pleasure to stay there and we will return...also possibly a future owner. I will promote it with all my friends. Ideal place to chill out, relax and enjoy life on the beach! Fell in love with Dauphin Island! Excellent condo, quiet, wonderful beach! The Inn at Dauphin Island was comfortable, very clean; the staff was very kind and friendly. Dauphin Island reminded me of long ago beaches when there were no high rises and the dunes were green! You can keep the crowds, keep the noise of bustling vacation spots, we enjoyed an excellent, laid back weekend in Dauphin Island. Thank you! Really had a wonderful time!! We absolutely fell in love with the Island. This was our first visit and we will definitely be back. Our condo at The Inn in Daulphin Island was everything we hoped for. The only issue we had upon our arrival was that the ice machine was crammed full of old ice so that it wouldn't make any new. We just cleaned it out and then he produced plenty of ice for our stay. Also, the walkway to the beach held some stagnant water that we definitely wouldn't walk through and dragging our beach buggy around it was difficult, but it didn't keep us from enjoying hours on the beach. We can't wait until next year!!! We enjoyed our stay immensely. The staff was friendly and very helpful. When we notified them that the grill was non-functional, a replacement was supplied later that day. Our only complaint is the exterior light while helpful at the door, also resulted in too much light in the bedroom at night. Additional window coverings in the bedroom would lend to a better night's sleep. The pool areas were clean and well maintained. We loved the view, the easy access to the beach, and the quiet overall atmosphere. Perfect condo for our small family. The bunks are just right and the 1 1/2 bath is helpful with young kids. Nice view. The kids really enjoyed the heated pool too.